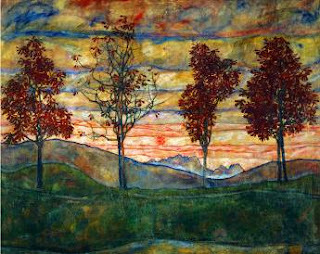 Though Egon Schiele is well known for his haunting figural work, his landscapes are incredibly striking and capture the vibrancy of seasonal foliage. His color palette in Four Trees II (1917) of emeralds, mustard yellows, and periwinkles is the inspiration for these fall items that are necessary luxuries. 1.) 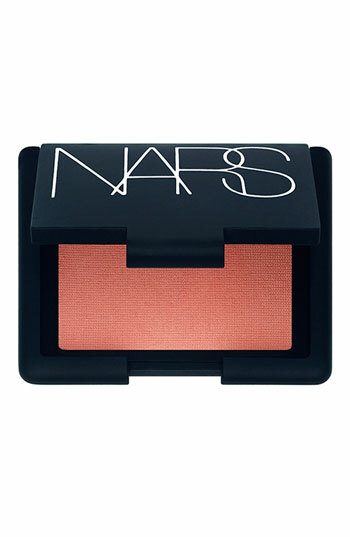 Outlaw blush by Nars is the perfect autumnal flush with just a hint of sparkle. 2.) 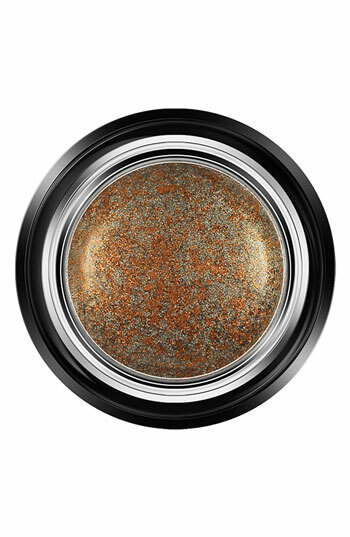 Giorgio Armani Eyes to Kill Intense Silk Eyeshadow looks like a starry night sky. 3.) Topshop's Floral Devore Kimono is too gorgeous to just wear around the house. photo credits: eyeshadows (nordstrom.com); blush (nordstrom.com); kimono (topshop.com).